The relevance of breastfeeding and complementary feeding as proven child survival interventions, is well documented by the scientific research. These two preventive interventions can save as many as 19% of all child deaths. However, despite the volume of evidence favouring mainstreaming of these interventions, many countries, including India are yet to achieve universal appropriate infant and young child feeding practices. 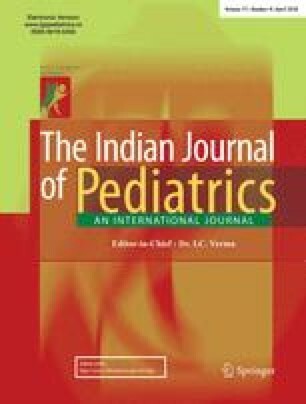 This article attempts to explore the evidenced based role of these interventions in the crusade to save children, and looks into the present scenario of infant and young child feeding in India, along with a possible road map to achieve high rates of early and exclusive breastfeeding and appropriate complementary feeding in the country. WHO/UNICEF Global Strategy for Infant and Young Child Feeding, World Health Organization (WHO), 2002. Available at: http://www.who.int/child-adolescenthealth/NUTRITION/global_strategy.htm. Accessed on September 14 2009. Progress for Children, UNICEF report card on nutrition. 2006. Available at: http://www.unicef.org/progressforchildren/2006n4/. Accessed on 27 March 2008. Hengstermann S, Mantaring JB 3rd, Sobel HL et al. Formula feeding is associated with increased hospital admissions due to infections among infants younger than 6 months in Manila, Philippines. J Hum Lact 2009; Available at: http://jhl.sagepub.com/cgi/rapidpdf/0890334409344078v1. Accessed on 24 March 2008.
International Institute for Population Sciences. District level household and facility survey, DLHS — 3 Fact Sheets 2007–2008. Available at: (http://nrhmmis.nic.in/ui/Reports/DLHSIII/dlhs08_release_1.htm#BR). Accessed on 27 September 2009. Ministry of Women and Child Development — Government of India. National guidelines on IYCF, 2006. Available from: URL: http://wcd.nic.in/ accessed on September 15, 2009.
WHO. Rapid advice: revised WHO principles and recommendations on infant feeding in the context of HIV — November 2009. Available at: http://www.who.int/child_adolescent_health/documents/9789241598873/en/index.html. Accessed on December 2, 2009.